With a day like I had on Sunday, it was hard not coming back up the last two days to fish for the white perch! Although the bite was great, handling all the fish that I caught took a toll on my hands. They needed a bit of time to get nursed back to health. Once again, I wasn’t on the water until about 9 am but it didn’t take long to get into the fish. Other than for about an hour in the morning I sat in one hole and pulled fish. The bite was just as good as Sunday but the I began fishing a different technique and found that I had better hook ups. 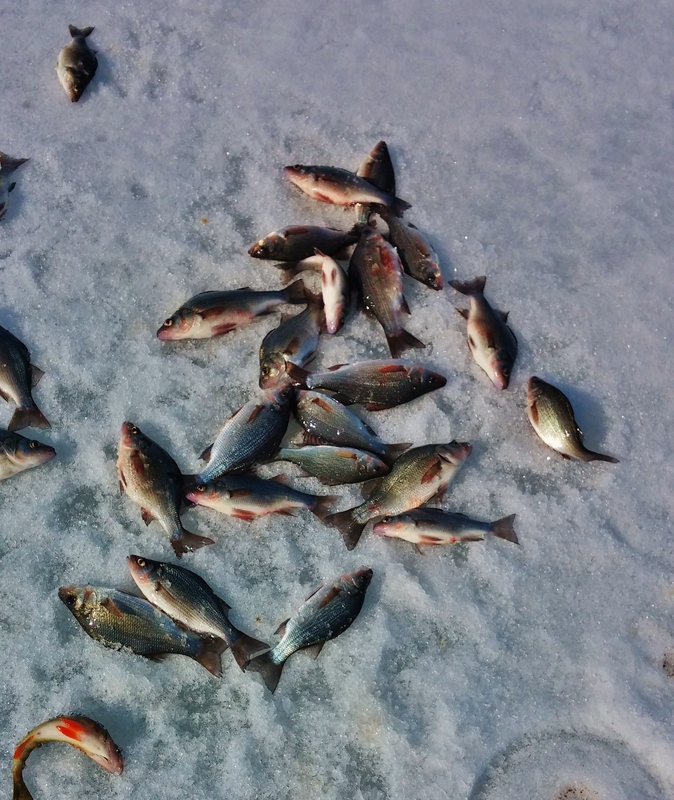 The fish were stacked in 15 feet of water so I used my normal panfish approach of fishing top to bottom. I would start at the bottom of the ice and slow but steady drop. Any tick in the line was a bite and just about every bite resulted in a hook up. The aggressiveness of these perch amazes me. With the high sun today, I was able to sit over the hole and look down to watch them bite. While I have never given them the credit they deserve, I will certainly be back for me! 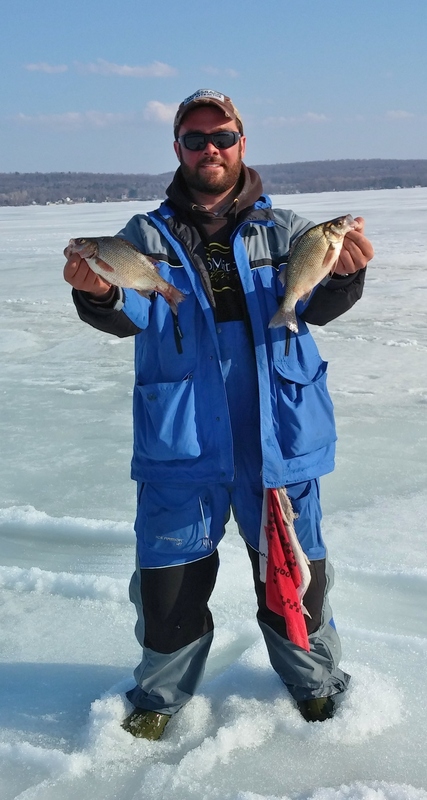 Check out White Perch On Lake Champlain on our YouTube page for more action!